The Foragers Festival Announces the Grand Celebrity Chef Dinner at Ventana Inn& Spa on Saturday, January 18th, 2014. The "Foragers Dinner" at the Restaurant at Ventana begins at 6:00 pm. The evening will be a very special meal prepared by Ventana's executive Chef Truman Jones and two celebrity guest chefs from Seattle-- Chef Ethan Stowell and Chef Jason Wilson (details below). The multi-course dinner, destined to be a memorable feast paired with an incredible wine selection, costs $175.00 per person. Tickets on sale now at www.eventbrite.com/event/5769234937. For more information go to www.bigsurforagersfestival.org. 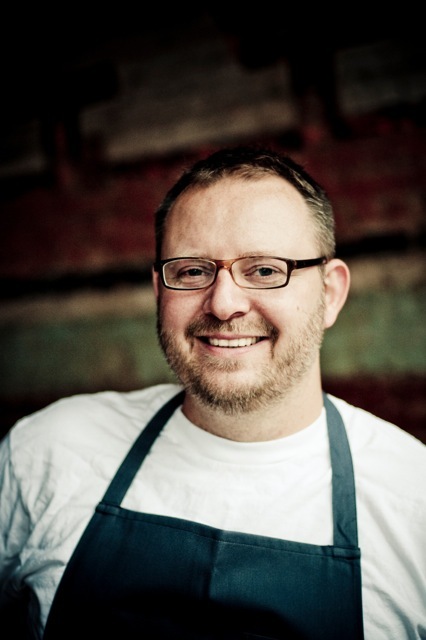 Ethan Stowell is the executive chef and owner of Ethan Stowell Restaurants in Seattle. He was named one of the Best New Chefs in America by Food & Wine in 2008, then chosen as a Best New Chef All-Star in 2013, and has been honored with multiple James Beard Award nominations for "Best Chef Northwest." His food philosophy revolves around simplicity and excellent ingredients-a philosophy exemplified in his book Ethan Stowell's New Italian Kitchen, released by Ten Speed Press in 2010. That same year, he launched Lagana Foods, an artisan pasta line, and began consulting for the Seattle Mariners. His work with the Mariners helps to bring local foods and products into the stadium for fans to enjoy. 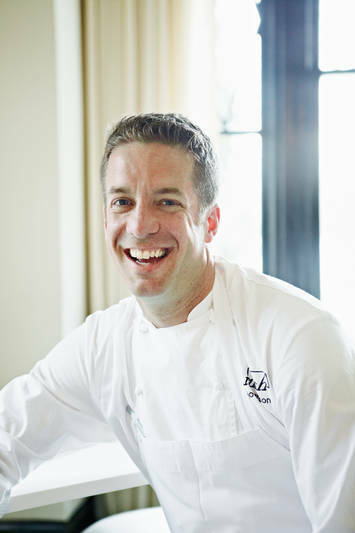 A Seattle native, Stowell is devoted to his hometown and is committed to Seattle's establishment as a national culinary destination. He and his wife, Angela, and young son Adrian, live in Seattle's Green Lake neighborhood. Stowell has long had a goal of creating community and enlivening Seattle's many neighborhoods with his restaurants, and has done so successfully, opening restaurants in a variety of areas across the city. Jason Wilson fell for food in Hawaii. In his time between surfing and working as a barback and busboy, he and his friends would buy whole fish right from the docks, break them down at home, and gorge on sashimi. His love for food blossomed and took him, at age 22, to the California Culinary Academy in San Francisco. After graduating in 1995, he spent time in some of the most influential kitchens in San Francisco, working with Albert Tordjman of the Flying Saucer, Michael Mina of Aqua, and Jeremiah Tower of Stars. Jason's journey continued with years working at Stars Singapore and traveling and cooking extensively throughout Southeast Asia. Apprenticeships in Paris and Tain l'Hermitage in France exposed him to pastry technique. He eventually settled in Seattle, where he met life and business partner Nicole Wilson, with whom he opened Crush in 2005. His ingredient-driven modern American cuisine has garnered local and national accolades, including a 2006 "Best New Chef" award from Food & Wine. 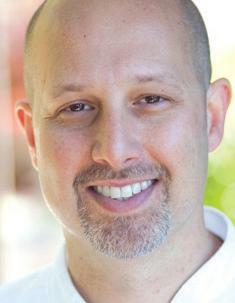 Jason's vivacious personality has led to a number of television appearances and international food events. Jason is also the James Beard Award Winner (Best Chef Northwest 2010).Crush is one of Seattle's finest upscale restaurants, yet it manages to combine ambitious cuisine with a laid-back atmosphere-helped in part by the cozy house (refurbished by Jason and Nicole) that holds it. Jason's second restaurant, MILLERS GUILD will open in November 2013, a wood fired cooking concept surely to redefine dining in Seattle. Among the Best Chefs in California. Executive Chef Truman Jones brings more than 15 years of valuable kitchen experience - along with some home-grown inspiration - to the Restaurant at Ventana. Jones' upbringing on a farm provided fond memories of food and family, with a focus on fresh, seasonal, locally grown ingredients. Years later, Jones has taken his farm-inspired approach to Ireland, Las Vegas and beyond, before taking over as the Executive Chef at the Restaurant at Ventana. Jones attended culinary school in Baltimore before working in some of the most prestigious Mobil Five Star- and AAA Five Diamond-rated kitchens in the world with legendary chefs such as Gordon Ramsay, Daniel Humm, Sandro Gamba and Guenter Seeger. Restaurants on Jones' resume include the Medici Caf� and Terrace, The Gordon Ramsay Restaurant, Campton Place and others. 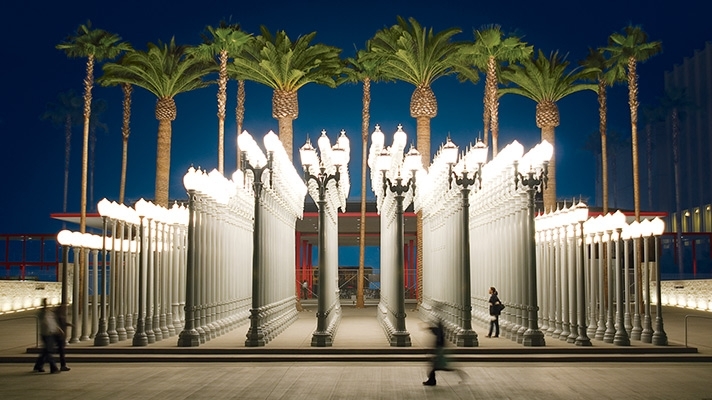 LACMA CULTURE celebration of culture in Los Angeles reaches to new heights this fall with monumental anniversaries, special exhibitions and a museum deal that makes this season the perfect time for art-loving travelers to visit the city. Visitors who book two nights or more at any participating Los Angeles area hotel Oct. 7 through Nov. 12, 2013 will receive two free museum passes and gift shop discounts at more than 20 participating institutions including the California Science Center, Craft & Folk Art Museum, Fowler Museum at UCLA, The Getty Center, The Getty Villa, Hollywood Museum, MOCA, Museum of Tolerance, Pacific Asia Museum, The Paley Center for Media, The Petersen Automotive Museum and the Skirball Cultural Center. For more information or to book a package, visit www.discoverLosAngeles.com/cultureLA. Photo above "Urban Lights" by Travis Conklin. 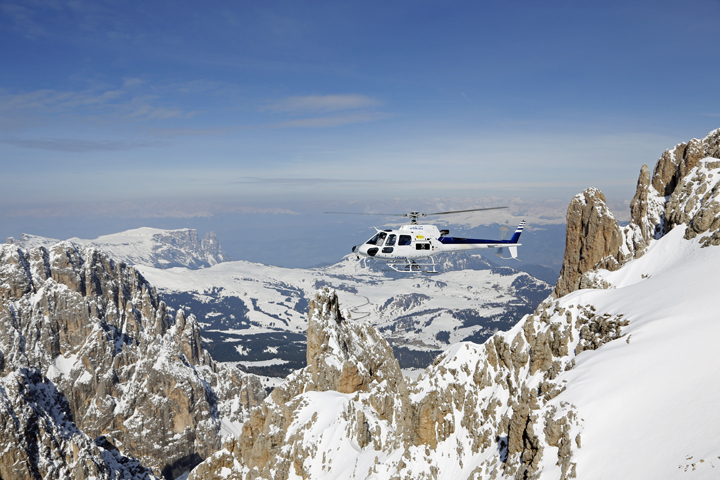 Italy�s active leader in guided and self-guided mountain travel, Dolomite Mountains Ltd. http://dolomitemountains.com/en/home.htm, is putting helicopters, luxury resorts and some of the region�s best skiing together this winter spanning three European countries. This all takes place in the Alps with Dolomiti Superski, a virtual carousel of 12 inter-connected resorts in the Italian Alps (a UNESCO World Heritage Site) with 1,200 kilometers (746 miles) of prepared pistes; the finest skiing the Swiss Alps have to offer at St. Moriz; and elite skiing at its finest in Lech, Austria. �On this unique, highly customizable itinerary, you have your choice between exploring ski resorts in one, two, or three countries in the Alps, each with its own unique surroundings and different specialties and activities for visitors to experience,� says Agustina Lagos-Marmol, Dolomite Mountains founder. The ski holiday begins on Day Two in one of the three countries. Each day the skiing itinerary is determined by a guide and will be based on the snow and weather conditions, fitness levels and skiing abilities of participants, interests and his/her recommendations. A UIAGM/IFMGA Professional Mountain Ski Guide meets guests upon arrival for a trip briefing and is prepared to provide on-going expert instruction. The per person double rate for three nights is from �2540; for six nights from �4990; and for nine nights from �7390. Dolomiti Superski encompasses 12 resort valleys (including Cortina d�Ampezzo) with 1,200 kilometers (746 miles) of prepared pistes, 460 lifts, and 475 interconnected runs to suit all levels. Lech in the Austrian Alps is part of the Arlberg Ski resort with 84 cable cars and chairlifts providing access to 280 kilometers (173 miles) of marked ski slopes. Famous for off-piste, it also has an astounding 180 kilometers (111 miles) of deep-snow runs. Just a few kilometers south of St. Moritz is Piz Bernina, the highest summit in the Eastern Alps. St. Moritz is graced with 350 kilometers (217 miles) of ski pistes, so the skiing is never ending. The Upper Engadin is truly blessed with an abundance of sunshine, and thanks to its altitude of between 1,800 and 3,303 meters (5,906−10,837') above sea level, snow is guaranteed. Corviglia, Corvatsch and Diavolezza are synonymous for awe-inspiring experiences on skis. Dolomite Mountains srl is a local company in the Dolomites specializing and providing unique experiences in adventure travel within one of the most beautiful natural settings on Earth. 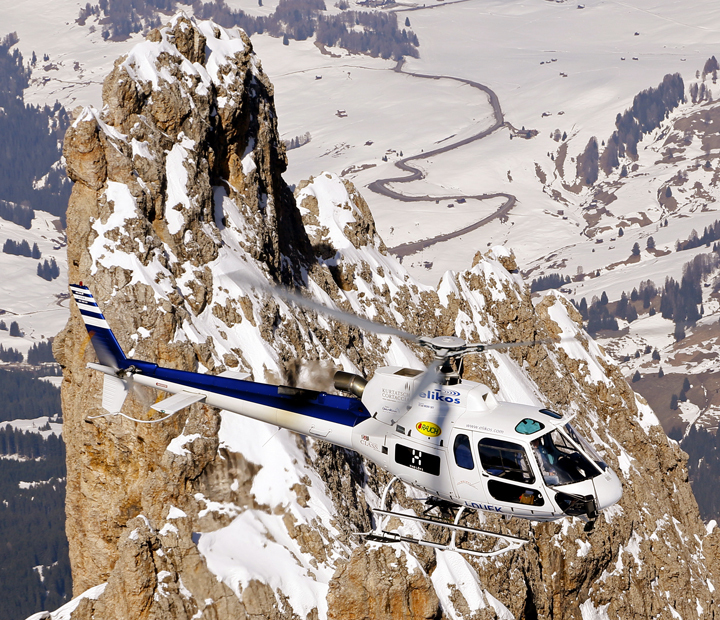 Types of trips offered include Hike, Bike, Via Ferrata, Climb, Snowshoe, Photo Safari, Ski, Self Guided and Luxury Trips.